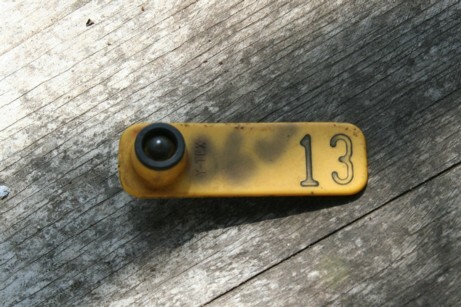 "Ear Tags should be like elevator floors. You should just skip #13!" 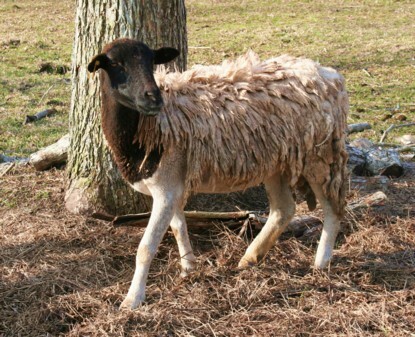 She is one of the sheep that New Police Dog mauled. So let's re-cap the events in her life over the last month. I bought her. She was already very, very thin. The dog mauled her. She has had to endure stitching, stapling, and daily penicillin injections. THEN . . . the poor thing had a miscarriage! She is beginning to remind me of the one-eyed, three-legged, neutered dog named "Lucky."